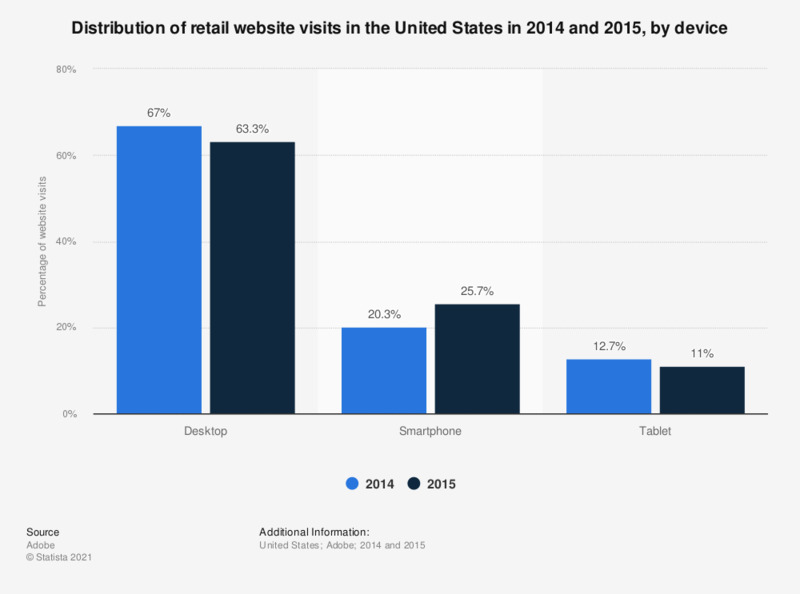 This statistic illustrates the distribution of retail website visits in the United States in 2014 and 2015, sorted by device. In the last measured year, smartphones accounted for 25.7 percent of U.S. retail site visits. Tablet visit share has been calculated by Statista based on available data.